It’s FINALLY here – the launch of NetEnt’s epic ‘Warlords: Crystals of Power’ slot release. A few month back we got a glimpse at the preview video on YouTube and since then we’ve been basically hooked. I kid you not, just like little kids, we’ve been counting the go-to-sleeps until the ‘Warlord’s’ release date. What’s all the buzz about I hear you ask? Well, ‘Warlords’ is probably the most intensely rewarding and action-packed slot release of the entire year! And besides, who does not like to witness the three last standing warlords of this earth, battle the final fight for supremacy? From the daring priestess to the impeccably strong Samurai and the ruthless barbarian – ‘Warlord’s: Crystals of Power’ is the fiercest release of the entire slots kingdom. Chief Product Officer Simon, or product pioneer if you will, was kind enough to give us an insight into NetEnt’s process of developing this epic slot, and from the sounds of it, NetEnt put a whole lot of LOVE into this release. We’ve been basically counting the go-to-sleeps until the release of this super epic slot game. Now that ‘Warlords: Crystals of power’ is finally launched, we are dying to know how you developed the concept of the game. How did you come up with the game theme? We are also very excited about the launch and believe that Warlords is not only a great and fun mechanic but also a great showcase of what NetEnt can deliver in terms of the highest levels of quality on the market. The game was developed by our great team and the idea was born out of a desire to have a battle style game with strong characters. 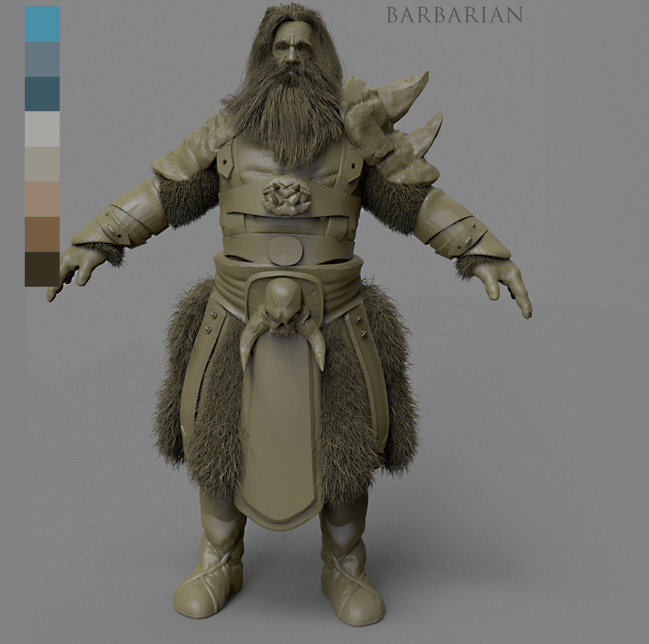 We were originally thinking a Viking style game but wanted to expand this much further and globally which is why we picked up strong warlord characters concepts. Once you guys had the theme in place, how did you develop the storyline? Once we had decided on a Warlords theme the storyline quite quickly fell into place. We wanted the player to be on a journey to win with the characters and it made sense that the game became about being the lead warlord. One area that we felt was needed was not only to focus on the warlord but develop a deeper identifying characteristic through the animals used. 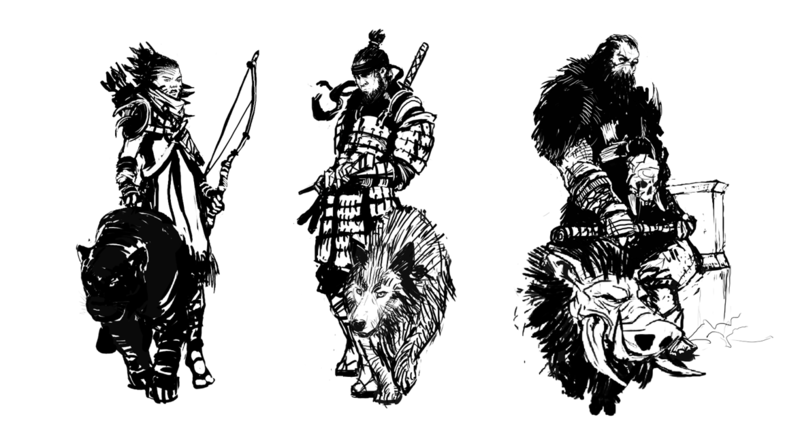 Naturally the animals can also help compliment the type of character and warlord we wanted to portray. ‘Warlords: Crystal of power’ features three main game characters, ‘The Barbarian, the ‘Jungle Priestess’ and the ‘Samurai’ – how exactly did you bring those characters to life in terms of design? Weapons – naturally we wanted the warlord to have a unique weapon in line with their character. Music – you can hear and see that each free spin round has a unique music accompaniment to get depth and locational perspective. So how much time does it take to actually pull everything off from character conceptualization to animation? A lot! Warlords has been a labor of love as we wanted to ensure that we could tie in the whole storyline together. NetEnt has been working on warlords for a while and we hope that the players love playing it as much as we have had building it. 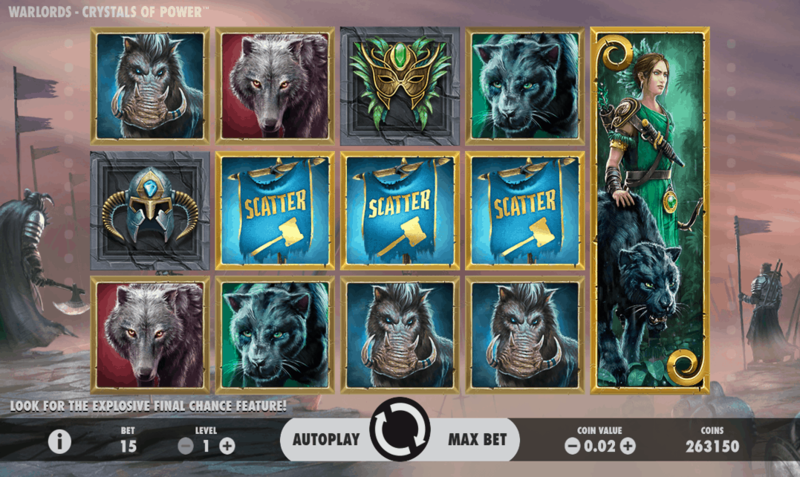 The slot game features a pretty intense intro and truly sets the mood of the game. Who are your main animation gurus? We have some super talented animators in NetEnt across all our design studios and I believe that the intro would not look out of place in any high level production in any business. An intro video is designed to give the player an introduction into the mood, style and characters in the game. We are very proud of the intro and think it showcases the very best in class quality in the online casino business. The slot soundtrack is pretty dark, yet catchy – how important is it for you to come up with the perfect tune? And what’s your general take on slot soundtracks? Music is an important part of a production as it sets a lot of tone, context and excitement to the game. We are very proud of the music for Warlords as it is another showcase of NetEnts inhouse sound studio talent. We wanted music that would not be intrusive to the player experience but also transport the player to a ‘battlefield’ mindset. So once you have the game theme, storyline, design and soundtrack in place, when do you begin working on game mechanics and features? Actually one cannot happen without the other and develop both in tandem. The main reason for this is that you don’t have a great game unless one compliments the other. As with design we go through many iterations of maths and mechanical make up to make sure they complement and work in tandem. We wanted to create an action-packed game with in-game features and varying free spins. Each character has both a random in-game feature and their own defining free spin rounds of differing volatility. 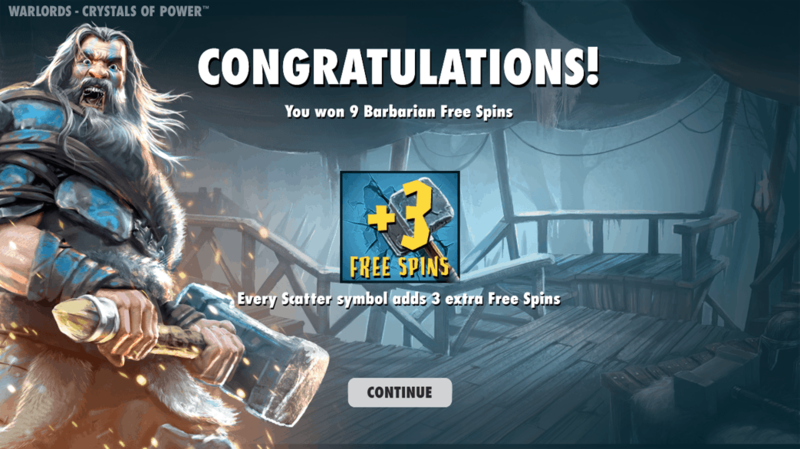 We have the Barbarian – hammer wild in-game and free spin accumulator round, Priestess random in-game wilds and multiplier free spins and finally the Samurai directional wilds and sticky wild free spins. The vision for the game was to have it feature packed and always something happening. The battle sequences are fun as it pitches different warlords against each other and even a ‘final chance’ feature awarding coin wins or even scatters to trigger free spins. WOW! That sounds like a whole lot of work, so how long did it take to develop the slot game? We already can’t wait for your next release! Anything in particular our players should look out for in the next coming months? We have some great titles in the plan for release. One area we focus on is to try and ensure that our players can look forward to something new and different. This generally means that we have varying mechanic complexity and maths models with different styles of design. Ultimately not all players like the same style of game – we want to keep it fresh all the time and resonate with all player styles and wants. As with all NetEnt games- there is always something cool to look forward to.